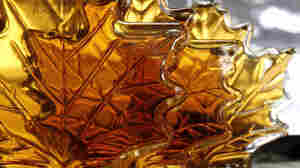 September 9, 2015  The Federation of Quebec Maple Syrup Producers has been called the OPEC of the liquid sweetener. 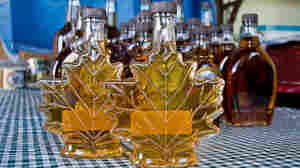 Lately, some maple producers and buyers say they've fallen victim to its bullying tactics. January 30, 2014  If you like richer, darker, more intense maple syrup, you should pick Grade B. But the idea that B beats A seems counter-intuitive to lots of consumers who are just looking for something sweet to pour on their morning pancakes. 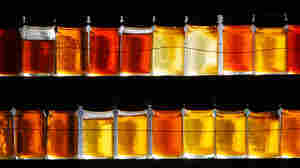 So the syrup industry has revamped its grading system. September 28, 2013  Want to top your pancakes with something other than maple? The alternatives vary, depending on the types of trees in a region. There's Kahiltna birch syrup made in Alaska, blue spruce pine syrup from Utah and Georgian black walnut syrup. 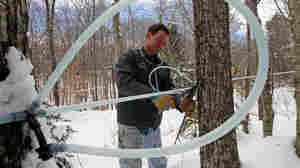 April 8, 2013  Technological advances now allow Vermont's maple syrup producers to get twice as much sap per tree, meaning more syrup and more money. Statewide, the crop brought in $40 million last year, double its value from just six years ago. 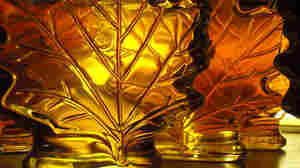 December 18, 2012  Millions of dollars worth of stolen maple syrup was recovered and three men suspected of the theft were expected in court on Tuesday. 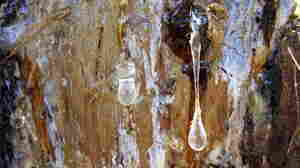 May 21, 2012  Boiling maple sap down to maple syrup isn't going away anytime soon, but it's getting some new competition from the humble birch. 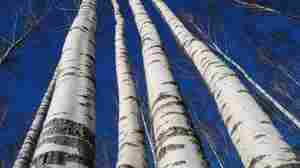 The tapping of the birch trees is a spring tradition in Latvia, but it's starting to catch on elsewhere.